LBW members vote annually to give continuous support to a specific charity. The current charity being supported is União Cristã Feminina (click to read more!). If you wish to get involved on a more proactive level, please get in touch with us. There are a number of ways you can do that. In addition to annual support, and depending on funds raised, we can also support other charities through one off donations. We recently donated a sum of money to Mines Advisory Group (click for more info!). The Women’s Christian Union (UCF) of Angola is part of the worldwide movement YWCA (Young Women’s Christian Association), and focusses on Education, Gender and HIV. UCF is present in four provinces (Luanda, Kwanza Sul, Uíge and Huila). One of UCF’s projects in Luanda – “Building Bridges: Developing girls’ life skills” – provides tools for around 60 girls and young women between 10 and 17 years of age, in order to gain self-confidence, assertiveness and practical skills for life and this takes place in the UCF centre, in the populous and poverty-stricken Hoji-ya-Henda commune in Luanda. The programme has improved girls’ relationships with their parents, and is helping them to become leaders in their communities; developing self confidence, assertiveness and awareness of their rights. The project has been able to use the experience and knowledge gained in Luanda to expand to other provinces in Angola. The main assistance that we are able to give to this project is to provide the financial means to pay for an English Language teacher to visit the school twice a week. In addition to this, a group of women who are principally from the LBW (although not exclusively) have been involved in small projects (such as building the kitchen). 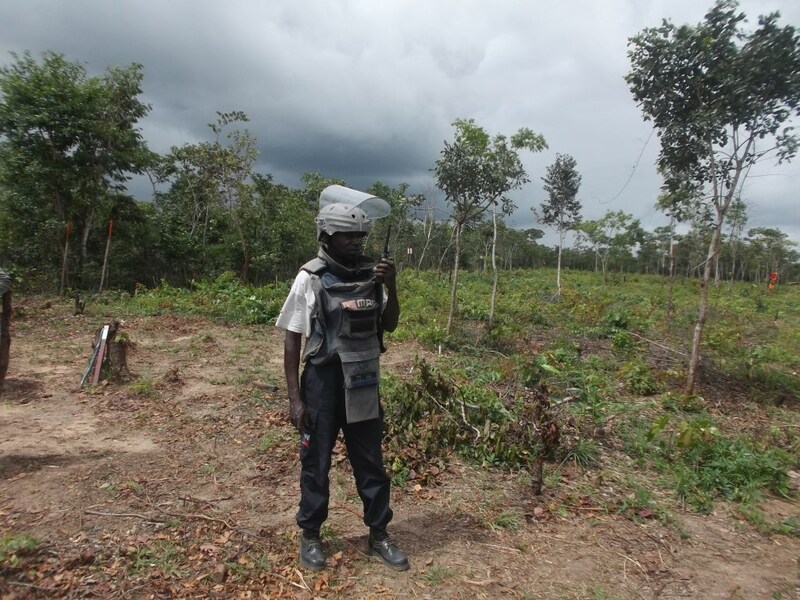 MAG works around the world to remove landmines and other explosive remnants of war (ERW) to support conflict affect countries. In Angola MAG has 20 years’ experience of implementing mine clearance activities, a trained workforce, an operational base in Luena with has a workshop to maintain the vehicle fleet, a dedicated training area, three machines for ground preparation, and a well- developed operational infrastructure. 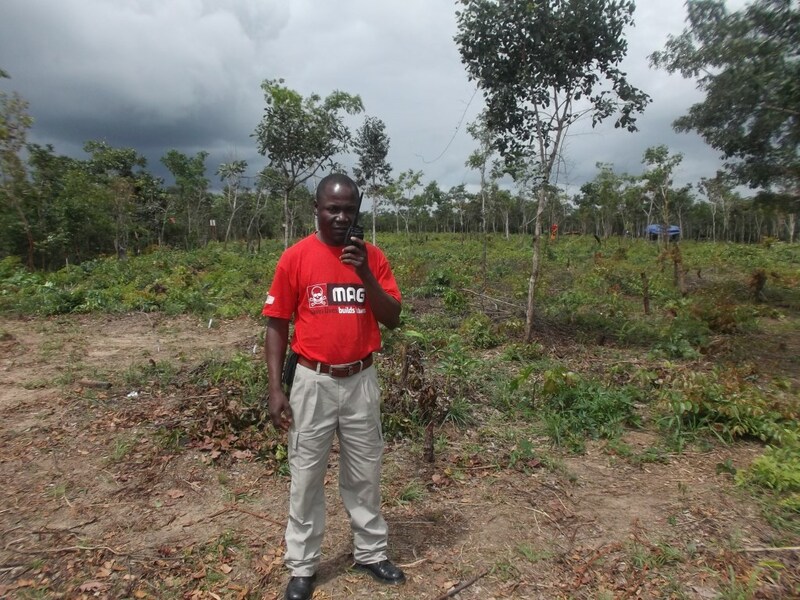 Since 2002, MAG Angola has released 85 million m2 of land back to communities and has removed and destroyed 31,666 ERW items. MAG’s Community Liaison Teams (CLTs) have also delivered 3,544 ERW risk awareness sessions. These activities have benefitted over 468,310 people in Angola. We were able to contribute a one-off fixed sum amount to MAG which enabled them to purchase radios and batteries for the field – improving security and efficiency for the field team.